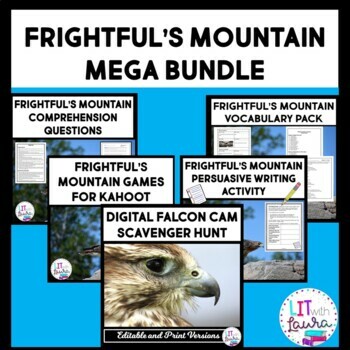 Have everything you need to teach the novel Frightful's Mountain with this bundle! Frightful's Mountain Comprehension Questions includes comprehension questions for each chapter of the book with two sets of questions for longer chapters. Questions are primarily short answer, with some multiple choice included and address a variety of reading skills. A complete key is provided. 38 pages. Frightful's Mountain, 19 games in all. Teacher directions are also included.